Term: 4 years 1 Elected A Stakeholder who is a resident of the South Carthay Neighborhood Association and who is 18 years or older. Stakeholders who are residents of the South Carthay Neighborhood Association and who are 18 years or older. Term: 4 years 1 Elected A Stakeholder who is a resident of the Carthay Square Neighborhood Association and who is 18 years or older. Stakeholders who are residents of the Carthay Square Neighborhood Association and who are 18 years or older. 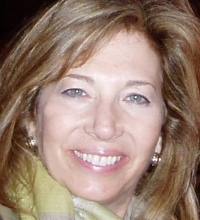 Marsha R Levine – I purchased my home in Carthay Square in 1998 and enjoy living here. I am founding members of business associations and worked on the boards to build the ethics, clear vision and solid working practices of the organizations. I would like to contribute to the neighborhood as the Carthay Square Residential Association representative. I feel that I have much to offer the community and it would be my pleasure to do so if elected. Term: 4 years 1 Elected A Stakeholder who is a resident of the Wilshire Vista Neighborhood Association and who is 18 years or older. Stakeholders who are residents of the Wilshire Vista Neighborhood Association and who are 18 years or older. Term: 4 years 1 Elected A Stakeholder who is a resident of the Wilshire Vista Heights Neighborhood Association and who is 18 years or older. Stakeholders who are residents of the Wilshire Vista Heights Neighborhood Association and who are 18 years or older. Residential Association: Wilshire Highlands Neighborhood Association Term: 4 years 1 Elected A Stakeholder who is a resident of the Wilshire Highlands Neighborhood Association and who is 18 years or older. Stakeholders who are residents of the Wilshire Highlands Neighborhood Association and who are 18 years or older. Residential Association: Redondo Sycamore Neighborhood Association Term: 4 years 1 Elected A Stakeholder who is a resident of the Redondo Sycamore Neighborhood Association and who is 18 years or older. Stakeholders who are residents of the Redondo Sycamore Neighborhood Association and who are 18 years or older. more into my local neighborhood.My family inspires me. My experiences coming from a mixed-heritage family have helped me gain the necessary skills to collaborate effectively with many different communities and cultures across L.A., which is a critical skill in our diverse PICO Neighborhood.I hope you will support my candidacy and drive to make positive change in our neighborhood. Thank you. Amy Williams – I live in the Pico /Sycamore community. I would like to contribute to the development and strategic planning activities to ensure a thriving community. 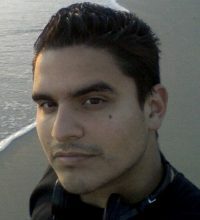 I have contributed to educating Pico/Sycamore’s children as an Educator with LAUSD . In my role as Community Organizer, to Los Angeles County Commissioners and County Supervisors, it was my direct responsibility to provide technical assistance to a city collaborative which was developed to increase access to health and educational resources and services to families within LA County. In some desolate communities where needs assessments revealed that resources were scarce, I worked with community leaders to strategize how to expand of existing structures to offer more services, or development / new construction facilities. Prior to authorization of funding for projects, it was my responsibility to consult with City Council members, City Planners and Contractors to review plans developed to expand access to community and social services. Residential Association: Pico Park Neighborhood Association Term: 4 years 1 Elected A Stakeholder who is a resident of the Pico Park Neighborhood Association and who is 18 years or older. Stakeholders who are residents of the Pico Park Neighborhood Association and who are 18 years or older. Agnes Copeland – I have lived in this community for the last 30 years.I feel it is my civic responsibility to offer myself for service in my neighborhood.Pico Park is where I live and as it continues to thrive,I want to be a voice for my neighborhood.I want to insure that our concerns and interests are represented in PICO NC.Simply put, I care about my community! 1 Elected A Stakeholder who is a resident of the Pico Del Mar Neighborhood Association and who is 18 years or older. Stakeholders who are residents of the Pico Del Mar Neighborhood Association and who are 18 years or older. Residential Association: Picfair Village Neighborhood Association Term: 4 years 1 Elected A Stakeholder who is a resident of the Picfair Village Neighborhood Association and who is 18 years or older. Stakeholders who are residents of the Picfair Village Neighborhood Association and who are 18 years or older. 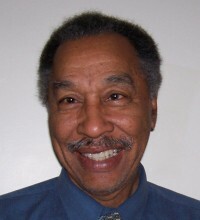 Sylvester Eugene Robertson – My name is Sylvester E. Robertson, a retired Educational Technology Professor from the California State University System. My wife and I have lived and owned property in the Pico neighborhood since 1989, while there I worked with the neighborhood watch program and the tree planting project. I have been involved in community activities most of my adult life in Los Angeles and in Chicago, Illinois. After returning to Los Angeles in 2012 I continued my interest in community affairs with Picfair Village Community Association and joined the Pico Neighborhood Council Land Use Committee. I would like the opportunity to serve and be a part of the Pico community expansion efforts-working to make our community the most livable place in Los Angeles, a place where individuals can enjoy the many present and future attractions. Residential Association: Neighbors United Neighborhood Association Term: 4 years 1 Elected A Stakeholder who is a resident of the Neighbors United Neighborhood Association and who is 18 years or older. Stakeholders who are residents of the Neighbors United Neighborhood Association and who are 18 years or older. 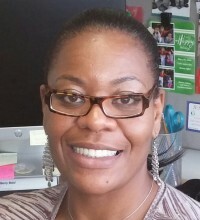 Yvonne E. Smith – I have resided in the PICO neighborhood district since 08/03/1980. I have been an active member of the Neighbors United Block Club since its inception. 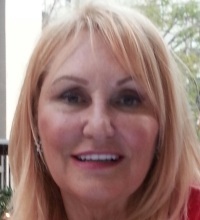 I am a recent retired Registered Nurse/CDE, a strong background in Diabetes Education/CDE. My last employment was with the Veteran Admisistration West Los Angeles, 28 years of service. 20 of those years I ran the Diabetes Education Program. Training patients, family members, nursing and other professional staff in diabetes management. I do believe I qualify for representation on the PICO board especially due to my neighborhood activities. I am known to the PICO NC board because of frequently being an alternate for two board members. I was recently certified to the PICO NC after completing its Ethics & Open Government & Finance as requirement. Residential Association: C.H.A.P.S. Neighborhood Association Term: 4 years 1 Elected A Stakeholder who is a resident of the C.H.A.P.S. Neighborhood Association and who is 18 years or older. Stakeholders who are residents of the C.H.A.P.S. Neighborhood Association and who are 18 years or older.